Nekta Kiwifruit Beverages are made from whole New Zealand Kiwifruit. Although the kiwifruit originated from China, New Zealand was the first country in the world to grow the kiwifruit commercially. New Zealand Kiwifruit is the acknowledged world leader in quality kiwifruit production. Nobody knows how to grow the kiwifruit better than the Kiwis. 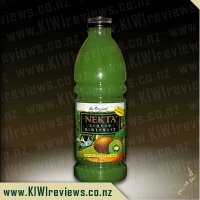 Nekta Kiwifruit Beverage is not only a full bodied, rich and refreshing drink, it is also a multi-vitamin in a bottle that can be consumed at any time of the day. Finally, a product that is both healthy and delicious is made available to all. 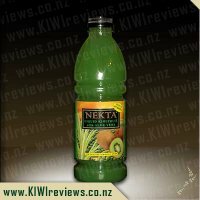 Nekta liquid kiwifruit is a drink that I have been buying for a lot of years now! I first discovered this when I was a teenager and still living at home with my parents. I was instructed by my mum to get her some from the supermarket after the hospital recommended she have it following on from internal surgery. Being a teenager I of course had to try some while she wasn&apos;t looking and I&apos;ve been buying it ever since. As a side note, I feel like this product must really be that great if a hospital is happy to recommend it! A very smooth, beautifully tasting drinking which I love served ice cold (especially in the middle of summer) and it feels so good to know you are drinking something healthy. My kids love this too, and I have to giggle to myself as they greedily drink it up (they don&apos;t normally have juice) as really I am the winner with all the kiwifruit they are drinking! Any form of fruit into their little growing bodies is a win in my book. I have experimented with a few bits and pieces over the years, freezing the juice into ice block molds works well and is another winner in the child department. I&apos;ve also added the juice to the mixture of muffins with a sweet but mild taste coming through and lastly a splash or three to fresh smoothies. All of which work well, but by far my favourite way is simply drinking a nice big glassful straight from the fridge. So many health benefits, this juice really does have a ton going for it! Also with its no added preservatives or any other yuck numbers I don&apos;t understand properly, I really am confident to give it to my children and know it truly is good for them. I feel like I am doing my little bit to be a better mum, and to treat my own body a little bit healthier too. This was an interesting drink for me. I don&apos;t think I have ever had a kiwifruit juice before. While I have often had the fruit, the idea of kiwifruit juice seemed very much foreign to me. So no surprises that I was a bit shocked when I took a sip of this Nekta drink. The strong colour of the drink had fooled me into expecting something absolutely bursting with flavour, as with Spirulina, or even Feijoa drinks. But this fluid was far more mellow and constrained. I had to actually stop, swirl it around in my mouth, and savour the drink, to truly pick up the kiwifruit flavour. It really tasted rather watered down, compared to what I am used to with fruit juices. That is not to say it was not nice. It was sweet, and amazingly filling, but is better served only slightly chilled, or at room temperature, otherwise the cold temperature hides the flavour. 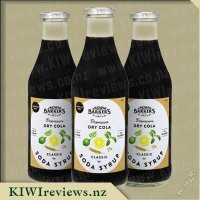 I was hoping for a bit more of a kiwifruit kick from this drink, but the lesser flavour also meant that there was no acidity, which is great, and the price is very competitive. An enjoyable drink for a hot summers day. Will look at buying again. I am surprised to even hear myself say this but oh my gawd I absolutely love this juice. I am surprised by this fact because I imagined kiwifruit juice to be ok, perhaps a little tart, with a wee zing to it, but its just out and out yummy!! So yummy in fact that I drank it all on my own within 2 hours lol I had my first little try of it then decided to google what I could make with it. I was looking for a kiwifruit custard tart or fruit tart with kiwifruit sauce recipe as thought this would be perfectwhen I realised I no longer had any juice left. Its a perfect balance of kiwifruit without being to over bearing and strong. Plus it is quite a thich juice not thin like Raro juice but a good thich packed full of ingredients yummy juice! I was actually initially a little unsure about the thickness of tge juice but it really is just perfect. The bottle is a simple design with easy to open twist off lids. The bottle is also shaped in a way that is easy to hold and easy to store in the fridge. The juice may be all gone but the plan to make tarts with a kiwifruit twist has not. I enjoy a good fruit juice and nothing is more kiwi than kiwifruit, so I had to pour a glass of this as soon as it arrived. 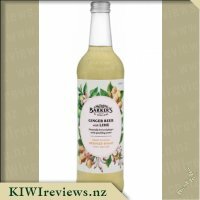 I rather enjoyed this drink, I notice it is only 20% kiwifruit juice, which is fine, but I would be willing to pay a little bit more just to get a bit more kiwifruit in the drink so there is more of that kiwifruit zing that I love. I drank this both at room temperature and fridge temperature and both have their merits. Having it cold made it a little crisper, but having it warm gave it a slightly smoother taste and we actually ended up leaving it out to warm up before finishing it off as we really enjoyed it that way. 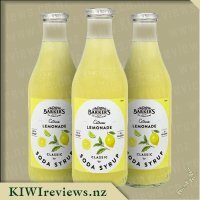 I was feeling very much like having a glass of wine the other night and decided why not give this a try mixed in with it and so had half a glass of medium white wine mixed with half a glass of kiwifruit juice and it was sooooo yummy that it was very difficult to stop myself from mixing up another drink. I then mixed a little bit to make some kiwifruit icing for my daughters kindy muffins and it went down a real treat. I know I will be buying this again. My children love kiwifruit and there was no doubt that they would also love kiwifruit drink. We don&apos;t drink a huge amount of juice or drinks like this so this was a treat for them. We had a little tasting session with the juice straight from the bottle. It got the thumbs up from the whole family - adults and children alike. 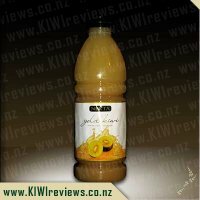 There is a distinct kiwifruit taste to the juice, no surprises there really! It is quite a thin juice and easy to drink. We are a smoothie family, so inevitably some of it had to end up in the blender. I simply broke up a banana and added some juice, blended it up and we were presented with a smooth, creamy smoothie. Again this was loved by the troops. I am sure that other things could be added to the smoothie but I do think that this blend was prefect. Any form of fruit juice is high in sugar so although the kids love it, it would still be a a "sometimes" food for our children. The bottle fit nicely in the fridge door and is a good size for handling at the table or for picnics. The label and bottle style are classy and make you think of it being a healthy choice to drink. The sliced open kiwifruit on the front of the label is definitely appealing to anyone who likes kiwifruit and entices you to try it. I compared the juice to an orange juice (with apple base) I had in the cupboard and found that the Kiwifruit drink was higher in sugar, sodium and considerably lower in vitamin C. It has only got 20% kiwifruit puree. This seemed quite low to the pretty basic juice I had beside it. 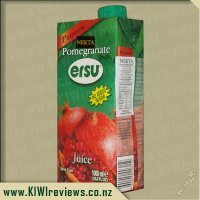 On a closer look at the label (and after reading that it was only 20% kiwifruit puree), I found that this is in fact a kiwifruit drink rather than juice. I had assumed up to that point that it was a juice. When I started tasting the juice, I thought I was having something that would be good for me. It seems my expectations were higher than reality. Regardless, I still enjoyed it but I am not sure it would be high on my list of options for my children to drink. I wouldn&apos;t have been serving them the orange juice either (unless it was watered down and for a very special treat). As a Mum to a child who suffers severe constipation, Kiwifruit juice & products are a regular on our shopping list. Nekta is a brand I had not tried before so I was looking forward to it. Mr 2 and I had a glass each and it is divine! He usually takes small sips every so often but he finished this in record time and wanted more! That&apos;s a win in my book! 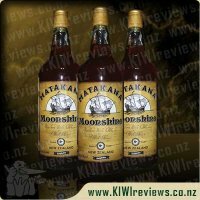 It tastes as it is described on the bottle as "Liquid Kiwifruit". I don&apos;t think you could get any closer to having an actual kiwifruit unless you actually were. It wasn&apos;t too sweet as many of the Kiwifruit Juices are. It was just right and so tasty!! I made a smoothie using the Nekta Liquid Kiwifruit, natural youghurt, a banana and mixed berries. That was delicious but I&apos;d prefer the juice on its own. I have just made a Kiwifruit Loaf using the NEKTA also and it smells and looks divine. The kids have all had a piece of the loaf while it was warm and loved it. Miss 8 wants Kiwifruit Muffins for her school lunch. 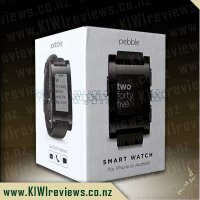 All in all I&apos;d say this is a great product and one that we will be buying. Anything that is good for the kids and easy to get into them is a win around here! 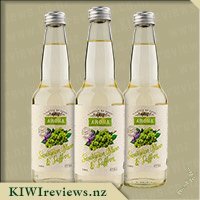 I love the taste of kiwifruits so when I saw the Nekta liquid kiwifruit I had to try it. Since then it&apos;s become something I often have on hand I&apos;ve found so many different uses for it as well. 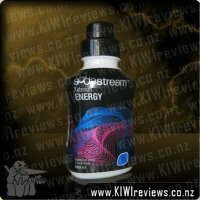 If you like kiwifruits then you are going to love this drink as it tastes of pure kiwifruit. 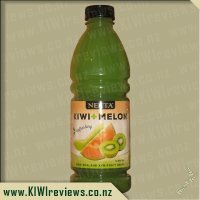 Some fruit juices can have all sorts of artificial tastes to them but I don&apos;t find that with the Nekta kiwifruit. I find it very refreshing and when I&apos;m feeling run down it&apos;s often the juice I turn too. With all the vitamins in it it&apos;s got to be good for me. I love to experiment when I find things I like and the liquid kiwifruit has been perfect to experiment with. I can now tell you that it freezes into ice blocks really well and is super yummy frozen! It also makes a nice addition in muffins giving them a yummy kiwifruit flavour for an extra treat topping them with chocolate icing is delish. The liquid kiwifruit also makes a nice ingredient add to any smoothie, I often use that and natural yoghurt as a base and throw in a pile of fruit to finish it off. One night curiosity got the better of me too and I figured if a little strawberry syrup is nice with sparkling white wine maybe liquid kiwifruit is as well. A couple of tablespoons added in is perfect. If you like kiwifruits make sure you give it a try!